Power plants that use waste-to-energy and coal-burning to generate electricity create a by-product called “fly ash”. Fly ash is a collection of fine particles that are produced from the combustion process. These fly ash particles are considered to be a hazardous waste, therefore they must be collected so that they are not able to escape into the atmosphere. A system of electrostatic precipitators and filtration systems with large metal hoppers extract the fly ash from the flue gas as it exits the system. The temperature difference between the hot air inside the hopper and the cool air outside of the hopper causes condensation to form on the inside walls of the hopper. This allows the fly ash to stick to the walls and solidify into a concrete-like material. If not treated, the fly ash will eventually bridge the hopper walls and cause significant blockage that results in extended periods of downtime and expensive repairs. 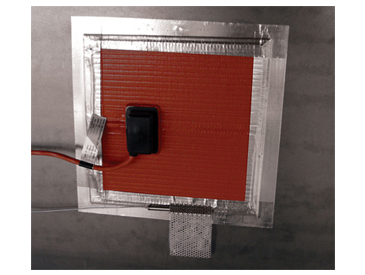 Silicone rubber hopper heaters create a temperature equilibrium that virtually eliminates the possibility of condensation from occurring. These heaters provide the best surface contact because they adhere to hopper walls and lay flat. They have an extremely low profile to avoid obstructions, are easy to install, extremely durable, and vibration resistant. 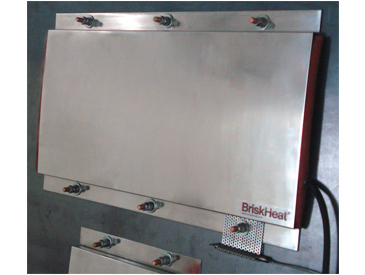 Metal clad heaters are available for higher temperature systems requiring up to 1000°F (538°C). Metal clad heaters meet all IEEE standards. Metal-clad and silicone rubber heaters can also be used on most any tank or vessel to prevent condensation or protect against freezing.